I have long argued that the Standard Field Sobriety Tests (SFST) used in DWI detection are a fraud. The science is garbage that has never been peer reviewed. However, tell a lie long enough and it becomes the truth. 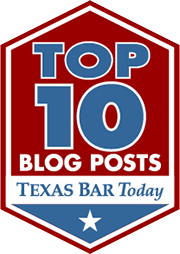 In Texas 3 SFSTs are used in almost every DWI case; the HGN, one leg stand and walk and turn. Officers are led to believe that these tests are highly accurate in detecting impairment and bac levels over .08. As with any good propaganda the weaknesses and flaws in the research are never mentioned. A fortuitous Google search led me to Dr. Greg Kane. Dr. Kane has examined the field sobriety validation studies. He has examined the raw data that cops never see. His conclusion- the numbers don’t add up. Why would a sober person refuse field sobriety tests? Read on to find out. As an expert broker I get calls from defense attorneys looking for a doctor to counter FST evidence. Too often these cases involve drivers who failed an FST, had a BAC of zero, and are now charged with driving while intoxicated by, say, a therapeutic level of some benign medicine prescribed by their own doctor. The government’s reasoning: they failed an FST, they must have been impaired. Because I happen to know how science says FST results are correctly interpreted, I know the government’s theory is wrong. The most difficult thing in life is to know how to do a thing right and to watch somebody else do it wrong, without comment. Also, it’s un-American to convict people with secret evidence, and with “scientific” tests that don’t work. First, all the usual stuff defense attorneys complain about. They were never peer reviewed. They’re chock-a-block with procedural and logical flaws. l The “accuracy” statistic the NHTSA uses to validate the SFST is a technical mathematical statistic that does NOT reflect the likelihood that a DUI defendant who failed the test was impaired. l The NHTSA’s “accuracy” statistic is open to manipulation. Simply by manipulating the group of drivers you choose to “study,” you can set up your validation study beforehand so it is certain to “discover” whatever arrest accuracy you’ve been paid to validate. Not only is it possible to manipulate study groups this way, that’s actually how it’s done in real life. NHTSA contractors do manipulate their study groups in a way that uses this statistical trick. Every NHTSA FST validation study that “discovers” a high FST accuracy uses this trick. Every validation study that fails to use this statistical trick also fails to “discover” a high FST accuracy. l SFST studies do not study SFSTs. They study officers instincts. The “accuracies” they report are not the accuracies of the standardized FST, they are the “accuracies” of officers’ unstandardized gut instincts about whether each driver is impaired or not. Validation study officers are as accurate as they are only because they repeatedly ignore the SFST. If they did actually rely on the SFST, their arrest accuracies would be substantially worse. That’s right, worse. SFSTs are less accurate than officers’ gut instincts, and validation study reports prove it. l All FST validation studies keep the accuracy of the SFST itself secret. When I looked at the raw data for the 1998 San Diego study, I was shocked. To a first approximation the SFST works like this: Everybody fails. Everybody fails, and officers release people their gut instinct tells them are not impaired. It’s the same for SFSTs. Validation contractors “discover” high accuracies because they load their study groups with drunks. Yes, there is a technical mathematical statistic called “accuracy,” and Yes the “accuracy” of SFSTs is high in the manipulated study groups in the government studies. No, SFSTs are not accurate in the everyday sense that the answers they give are usually correct. The never before published raw data I managed to uncover proves that within the margin of error a failed SFST carries no implication of impairment. None. You can’t tell whether the person who failed the test is actually impaired, or whether they’re just one of the 93% of innocent people who also fail the test. At the 0.04% BAC, on innocent people the accuracy is 7%! That’s not a typo. Seven percent. If juries rely on the SFST to decide the guilt of drivers charged with DWAI at the current 0.05% level, they will wrongly convict 93% of the innocent drivers who go to trial. At 0.08% BAC, on innocent people the SFST is only 29% accurate! That’s worse than a coin toss. If juries rely on the standardized field sobriety test to decide the guilt of drivers charged with DUI at the 0.08% level, they will falsely convict 71% of the innocent drivers who go to trial. SFST studies do not study SFSTs. They study officers’ instincts. All FST validation studies keep the accuracy of the SFST itself secret. The raw data proves the accuracy of the SFST itself is terrible. Far from proving SFSTs are highly accurate, the most recent, most up to date NHTSA validation study (1998 San Diego) actually proves that study officers routinely ignored SFST interpretation guidelines. The claimed SFST “accuracy” comes from studies whose test interpretation is not standardized. Because SFST interpretation criteria are not standardized (or rather, are standardized, but study officers simply ignored the standardized criteria) it is impossible for the officer in your next DUI case to reproduce the validation studies’ accuracies. The math proves that your client’s failed FST may mean she was 100% likely to be impaired, or it may mean her chance was 0%. Or anything in between. That’s the best FST science can do. FST results do not predict alcohol impairment. 8. You’ve stated you analysis will also work for drug dogs and drug detection experts. Please explain. If there was a study in which the drug dog got the right answer 80% of the time, and later that same dog alerted on your client’s bag, that does not mean the probability your client’s bag contained drugs was 80%. The true number, the scientific number, may be as low as 0%. This stuff can make a real difference in real criminal cases. An attorney here in metro Denver has had FST accuracy evidence excluded at trial by insisting the prosecution provide expert evidence that the officer’s interpretation of the FST’s accuracy statistic as indicating the probability of impairment is scientific (they can’t, it isn’t), and by providing my sworn statement that standard scientific methods of test interpretation differ from the prosecutions’. I don’t know if you read these comments, but isn’t there anything to the fact that these tests are partially disorientating to anyone, sober or intoxicated? How is asking someone to stand on one leg, and then asked to stare upwards for 30 seconds, not going to hinder someones ability to walk in a straight line? Is there a particular order the tests are supposed to be administerd? Wow!! Amazing!! A man who wants money from defense lawyers states that nothing LE does is correct?? What are the odds of that? Can I be a test subject for a test? Only if the beer is on the state. I suspect this guy doesn’t have a medical practice for a reason. Where is the scientific study to rebut NHTSA studies.? There are none b/c the tests are accurate. I guess the American Optometric Association got it wrong. NOT! I’ve never had a problem performing the test while sober. As for when I’m drunk, that’s a different story. Besides, the HGN test is based on an involuntary reaction to alcohol. Oh yeah. If these tests are a fraud and never peer reviewed then why do they meet the “frye standard” set by the Supreme Court. This guy is a sham. I especially like the flower at the website. Given I have ataxia, I can easily fail a sobriety test sober, as some tests are actually the same as for ataxia. Always choose no. I had a hard time following the discussion on accuracy rates, even though I teach the subject myself. I have read Dr. Kane’s papers and what he says in them is accurate. There are legitimate problems with the SFSTs from a scientific standpoint. None of the studies were truly blind and most were not published or peer-reviewed. The limitations are discussed in detail in a recent peer-reviewed review in Law and Human Behavior. If that many people fail the SFSTs with a BAC of 0.04%, should we consider lowering the legal limit to that level?